For this card design, I have masked the area to be colored firstly. Then I have blended three inks from Tubby craft viz. Lilac Purple, Hot Pink and Light pink. 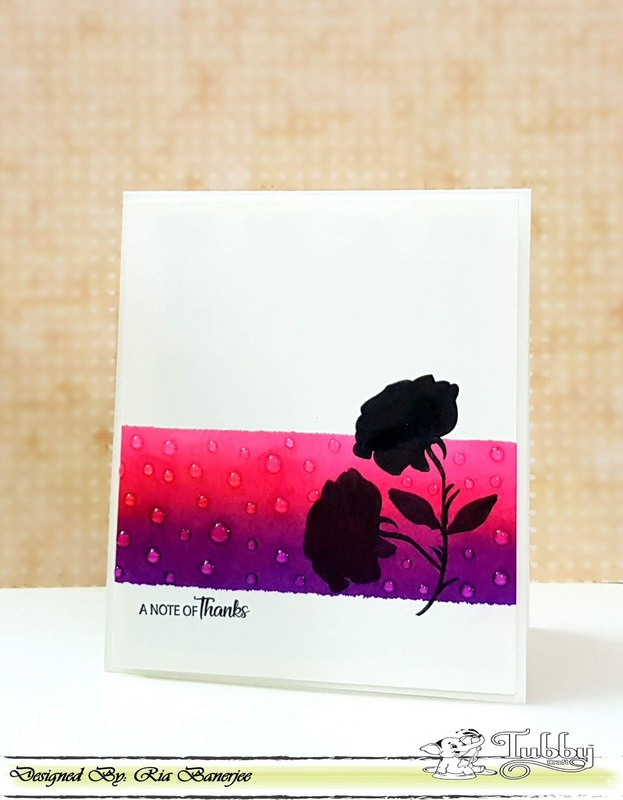 Then, I stamped the images from Floral Peony with Jet black ink and I colored the image with black marker. The sentiment is from the same stampset stamped with jet black dye ink. I have finished the card with adding Nuvo drops crystal clear. 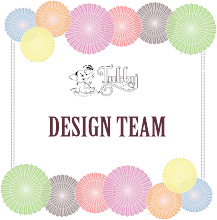 This is a quick bookmark that I have created. Firstly, I sprayed some water onto a tag and pressed the dye ink pads over it (Lemon Yellow and Tangy Orange). 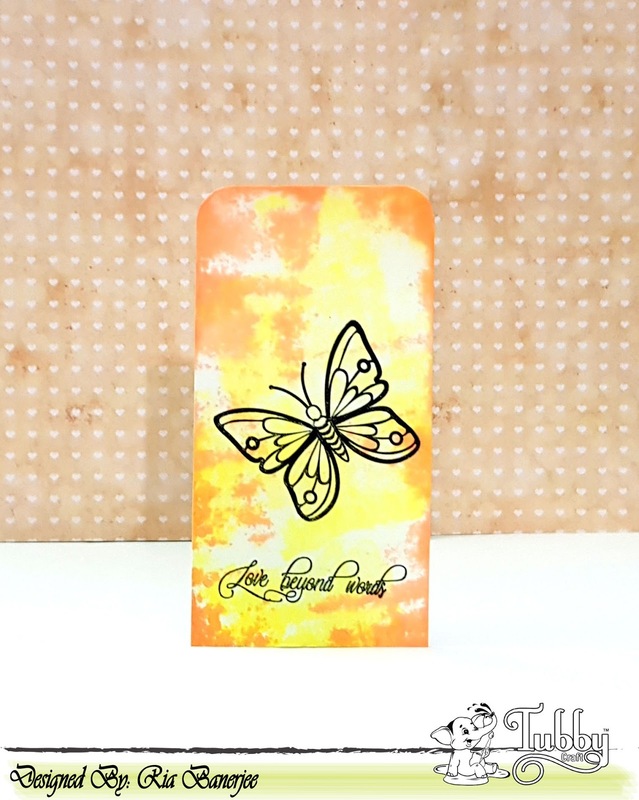 Then I stamped the image and sentiment from Butterfly love with Jet black dye ink. I hope you have liked the projects!